D. DENNING: Welcome to the session on "Who Holds the Keys? "And in case you hadn't decrypted that by looking at the program, the session is actually about cryptography and some of the implications of cryptography in terms of personal privacy, electronic communications, and so on. Behind all the issues is to what extent should the government actually have control over the technology and our use of the technology and so forth. BELLIN: 3FA0 FF48 0ADD 3C. (laughter) Thank you very much. I guess I could just sit down now, knowing that I think there was only one person in this room who understood what I said thus far. One question I want to pose to you is, Does that mean that I should be prohibited from getting up here and uttering what seems to you to be nonsense? And let me point out that my algorith. m to develop the words I just said is quite unique -- it's at least as hard to decrypt as DES, or as easy, depending on your belief in trapdoors. Does this mean I should be restricted in my ability to sell the algorithm to others? Or that I should be forced to furnish the algorithm or the internals of it to a government agency? Or that my use or sale of this encryption algorithm should be permitted only with governmental leave? Should commercial carriers that distribute my words be permitted, or even required, to restrict distribution of my speech if it's presented in a form they cannot understand? Or even more dangerous, of course, if it's presented in a form that some hypothetical government agency can't understand? Well, in my view, all of these proposals, which you've heard in other forms before, are nonsensical. I think that the freedom of speech described in our Bill of Rights gives me the freedom to encrypt my speech in any manner I desire. Of course, that freedom of speech is not absolute. You can't shout "Fire! "in a crowded theater, but of course, you can't accuse me of shouting "Fire!" if you can't understand what I'm saying. Encrypted speech is clearly protected behavior, in this sense. Well, we have a cherished concept in this right to speak our minds freely, and of course, sometimes we want people to understand us. A closely-associated concept is the right to freely associate with our peers in order to engage in other protected legal activities, such as that of speech people can understand without a key. But privately-encoded means of communication are crucial to the ability to associate freely with our peers in this day and age. How could we associate freely if a real, well-founded fear exists that somebody will be listening as we attempt to get together? Aside from a few persons who do exist who have personality deviations of interest to psychiatrists, few of us would choose to engage, for example, in some of our bedroom activities if we knew. that a government agency or snoopy neighbor could look in on us. But extend that thought to other spheres of life. Imagine how much harder it would be to organize a local PTA to rally against the policies of the local principal if the school principal was the spouse of a Senor Ortega who Bruce Sterling described yesterday. I also don't accept an adage that I've heard repeated over and over at. this conference -- that there's a continuum, and at one end there's public safety and at the other end there's freedom. We should think about the social conditioning served by establishing these two as polar opposites, which I don't think they are. Just what are the scales of justice balancing along this continuum? For example, when we speak about public safety, we should give a little bit of thought to whom we pretend to keep safe, and from whom or what we seek to keep them protected. For example, keeping Bankamerica safe from fraud is a lot different than keeping me safe when I go out in my back yard and fall into my swimming pool. Will cryptographic controls really keep me safe from a robbery on my way home tonight? And what if the safety I want is the safety from surveillance, from others seeing what I do in what I consider my private time? And by the way, again, whom am I being kept safe from? The drug cartels? The Communists? Or political opponents of the current administration? On the other side is supposed to be freedom. We love to toss the word freedom around, and we love to hear how the enslaved and oppressed everywhere else in the world want the freedom we have. It might be useful in a conference like this to give a little consideration to what our freedoms really consist of. Is it the freedom to go to our hypothetical supermarket and buy the hypothetical brand of coffee at a discount? The freedom to have cheap petroleum products? The freedom to go to the mall and listen to Muzak? Well, if those are the freedoms, then maybe this continuum put forth makes some sense. But to me, a consumption-based concept of freedom has little appeal. The freedoms I seek to preserve are the freedom to speak my mind on issues that concern me, the freedom to associate freely with other citizens to exercise some control over government policy and elected officials, and the freedom to insist that government act to promote the general social welfare. Those are the. freedoms I seek to preserve and extend, and in that sense, this safety- freedom continuum seems to make no sense to me. D. DENNING: Our next panelist will be Jim Bidzos, who's the president of RSA Data Security. There's something that's very interesting about all this. We can certainly lump the digital telephony issue, and also last year's S.266 -- the proposal to essentially outlaw the use of cryptography that the government couldn't access -- into this category as well. But what's really interesting about all these policies, if you think about them, is that they all put the government in an adversarial role with industry. Instead of industry and government working together, we essentially find ourselves fighting all of the time, whether it's over legislation -- which a lot of us here are obviously very interested in --. whether it's over standards that many of us may not agree with, whether it's over an export policy that many of us continue to fight. It's an ongoing battle that's going on today and has been for a long time. The long-term effects of that adversarial relationship, I think, are much worse than some of things we're seeing now. It's pretty clear that many of these things aren't thought out, they aren't done in consultation with industry. They're usually done in private and they're essentially forced on us. They tend to look like knee-jerk reactions in many cases. I think S.266 is a good example of that. I think this digital telephony proposal is a good example of that. So there's a lot of turmoil and confusion, and I think danger as well. We really have to be careful here. I think that a lot of these proposals are not well thought out, primarily because they're not done in consultation with industry, they're basically done in back rooms. For example, one could argue right now that economic policy is being made by the intelligence agencies. I personally don't think that's a particularly good idea. Now, why is all of this happening? There are all the obvious reasons -- there's more networking, there are more people concerned about their privacy, the world's moving more and more into the electronic frontier, as we've heard. But there are other things that are changing as well. Cryptography is moving into mainstream products; cryptographic technology is out, it's available. These things aren't going to change. The companies that produce the mainstream products and want to use cryptography are going to continue to do so -- they're going to want to do more of it. We've seen that now in many cases, especially in the area of export laws and some of the battles that are going on right now. Also, a lot of the companies that are building these systems today aren't the traditional kind of company that had a special kind of relationship with the government, in pa. rticular, many of the agencies that made these policies. For example, I don't thing that Microsoft or Apple are companies that are greatly influenced by the Defense Department. They don't derive much of their revenue from them, they aren't influenced by them, so we are seeing more and more of this turmoil. This helps explain a lot of why this is happening, and also the emergence of electronic commerce, which is rapidly becoming global. Now one of the interesting things here that I think many of these proposals fail to recognize is that we technically have a large number of options. We can do a lot of different things. Let me, for example, just describe very briefly one technical approach to possibly addressing some of the concerns of the Justice Department. This is just a relatively simple proposal, but an interesting one to think about, primarily due to Ron Rivest. And that is simply that in a world where public key cryptography may be used extensively, there may be these things called certificates, which are essentially a trusted copy of one's public key. A simple way to protect the interest of both parties in this case -- and again, this is just a proposa. l and to get people to thinking and understanding that there are many, many different options -- is that one's public key could also in fact be signed by some independent party. Now let's say, for the sake of argument, that this might be your bank. What that signature on your public key or on your standard certificate from your bank may say is that the owner of the corresponding private key has in fact registered or escrowed that private key with this organization, and presented with the proper documents, whether it is a warrant or whatever it may be, then that private key could be made available. This is just a simple example of how technology could be applied to provide far less control than a piece of legislation that says anything you do that interferes with what I want to do is illegal and I can fine you money and send you to jail. The pro-cryptography use side has been trying to pull this stuff out into the public, into the public eye, and into public debate. One such example is an amendment to the Export Administration Act that has been pushed, in particular by Microsoft, that would transfer control for export of cryptography in mass market software products to the Commerce Department. Moving from the State Department to the Commerce Department may not sound like much -- it's still . the government running it -- but it turns out that the State Department on this issue is basically run by NSA, and the Commerce Department is much more aligned with reality. (laughter and applause) So this has been successfully put into the bills, in both House and Senate, and of course the bills were slightly different, so they've gone to a conference committee. The administration has threatened to veto the bill over three items in it. One of them was this transfer of encryption, so Senator Jake Garn went to the NSA and said, we need to negotiate this out. 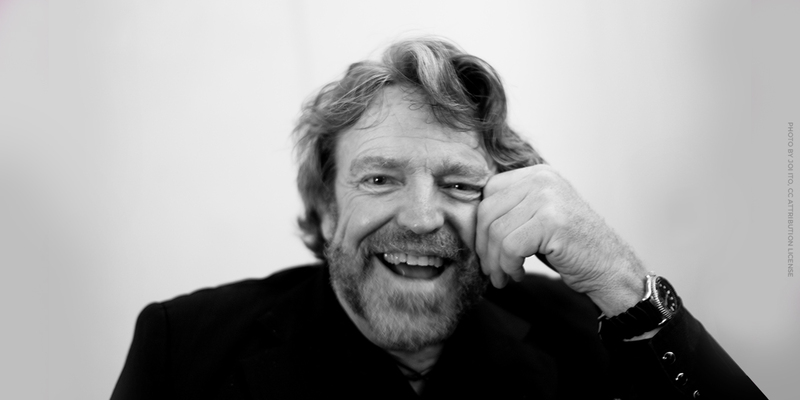 D. DENNING: Next is John Perry Barlow. The solution to many of these problems obviously involves encryption. Well, there are problems now, as we see, with encryption. I mean, one of the areas where I've expanded my sense of the frontier analogy is that when we first came to Cyberspace, I didn't recognize that it was already fully occupied by a well-established army of occupati. on which had been there a long time in the form of the National Security Administration (sic). And this group of 40,000 troops has got this place wired for sound. I mean, there is very little that goes on in Cyberspace that doesn't go through the big sieve out here at Fort Meade. And they want to be able to have that sieve continue to work. D. DENNING: And finally, our last panelist is Whit Diffie, and we've agreed to let Whit have thirteen minutes instead of ten, in exchange for which he's going to entertain us with slides. DIFFIE: OK. I gave this talk at one hour's length to the Committee on Communications and Information Policy of the IEEE on Tuesday. Lance heard it and said, "I think Computers, Privacy, and Freedom ought to hear these remarks,"so here you have the fourth time -- this is the speed version. I think if you think about it, you'll realize that the most important things any of you ever do by way of security have nothing to do with the guards, the fences, the badges, the safes, or any of that stuff (Figure 10-1). That far and away the most important security measure in anybody's life is that you recognize the people you know, you recognize the people you work with. And you have a mechanism for extending . that recognition by introduction, so you come to know, come to trust people you didn't know before because people you did know introduced them to you. Then you have a transferable form of authentication that you use constantly. You have your written signature and you put your signature on something and the recipient can show it to a third party and say, "Here. Look. Whit Diffie promised to do that. See his signature on this letter." And then finally, you have the possibility of closing your door, stepping aside somewhere, and having a private conversation with somebody. We are awash in technologies that decrease privacy -- lots of them developed under the umbrella of the war against terrorism, the war against drugs, a lot of them, as a matter of fact, from the Vietnam War (Figure 10-3). There are lots that you know; let me mention two or three you might not know. There was a wonderful article in Aviation Week four months ago or so, sometime last fall, about a gravetomometer so sensitive that it was able to detect a pound of cocaine suspended in the middle of a 50-gallon drum of something like orange juice, I don't remember what it was. You really can't hide things from something that can detect gravitational anomalies that fine. Well, the Vietnam War gave us night vision that would ma. ke your bedroom look as though you were making love on the beach at Monterey at midday. The last one's one called Rafter, and it was mentioned in a book called Spy Catcher. Rafter is a British code name for the technique of listening to radio receivers, that is, listening to the local oscillators of radio receivers to figure out what station you are listening to. Now people are used to the notion that they might be monitored when they are transmitting, I think that's perfectly natural. But think about the fact that people might be listening to hear what you are receiving, what things you're interested in getting. It's also true that cryptography has developed capacities that allow it to increase accountability (Figure 10-5). In short, if you look at the previous slide (Figure 10-4), increase in anonymity where appropriate, here increased accountability. Digital signatures give you the capacity to audit, just the way you audit a classical ledger, the same format at least. You look at the handwriting of each individual entry in the ledger, you know who did it, you have accountability for the actions that the ledger covers. Digital signatures give you that capacity in electronic media and auditing is the basis for investigations. It is the c. apacity of investigations to discover what did happen -- to find out who was accountable is the essence of people's being held answerable for their actions. Now we will turn for just one instance to the previous slide (Fig. ure 10-6) and say, from my point of view, that this, in fact, has a lot to be said for it. I understand why the police don't like it. But let me suggest that a very large part, if not the essence, of the distinction between a free society and a totalitarian society consists of the difference between being answerable for your actions and being subject to prior restraint on actions that the society doesn't approve of. (applause) What this means is, in essence, if you look at it, the subpoena sort of model. They've got to come to you and say, "Whit, show us these records or you sit in jail for a while." And I get to decide, as reporters unfortunately have to decide, whether I'd rather sit in jail than show this court the information they want. What I think is utterly inappropriate is they can go to some third party, the keepers of the disk that I have my stuff on, and say, "Either you show us Whit's stuff or you go to jail for a while." And you know, it's not their data, what do they care? OK. I really believe, long-term, that there are some serious problems here (Figure 10-8). I think telecommunications violates a locality property that has been the basis of society. If I come into town to negotiate with somebody, I really can't be confident that I won't be noticed going in and out of town. If I have to stay over in the hotel, I leave a record there, etc. If calls can be made that are somehow completely anonymous, completely secure, any two people could be in contact, and the whole way that we understand what groups are in the society would dissolve. I think, in a peculiar way, the lack of security in communication has taken the place of this locality. That is, you can call somebody up and conspire with them by phone, but you can't be sure that you will not have been overheard. You don't have the same confidence that you do if you go sneak off behind the haystack to encounter this person. And so I wonder if soci. ety, in the sense we know it, would exist in the presence of absolutely unaccountable communication between any pair of people, as much as that notion appeals to me tremendously. So now I come to the issue, how well could cryptography be regulated? I think this is a case where -- I think John Barlow quoted this slogan -- if guns are outlawed, only outlaws will have guns. I think that actually applies much better in this case because cryptography grows much more naturally out of mainstream computer science than ordnance technology does out of mainstream home machining. Virtually everybody does cryptography on standard microprocessors or digital signal processors unless they want to go really, really fast. I mean, people build lots of special purpose crypto chips but lots of people also do it on standard processors for the same reason that everybody does everything on standard processors -- that's the cheap way to do it. You can do crypto in very small programs. Even DES, which is a rather large complicated crypto system. , is not a very large program, as programs go. And I think now, looking at that slogan, right?, if you pass a law against using cryptography in some circumstances, all of the people who are normally law-abiding will abide by it, but somebody who really wants to get messages through will build covert channels to carry them. We discovered in computer security that even within the rather controlled environment of computer operating systems, bits move through covert channels rather freely and they are very hard to find and very hard to limit. So, as a result, the enforcement of any such rules would probably require very drastic measures. D. DENNING: OK, before opening it up to questions from the floor, I'd like to ask the panelists if any of them have very short comments that they want to make in response to each other said. John? AUDIENCE MEMBER: I just had a very brief comment on something John Barlow said. He commented on the oddity of a secret cryptographic standard. I think in fact secret standards of various kinds aren't that uncommon. What's especially odd about this one is that this one's an ANSI standard, and they had to bend the rules very hard to get around the fact that it's ANSI rules th. at their standards have to be publicized. There is a wonderful story, but it's too long, the things it went through, but it's too long to give at the moment. D. DENNING: OK. Well, we're open to questions from the floor. D. DENNING: OK, that's a good question. I was not the person who actually organized the session, however, after I was invited to be chair of the session, I talked with the person who organized it, who's Marc Rotenberg, about that very issue. And Marc had already talked to some people in the government and hadn't gotten anywhere in terms of their interest in participating, so I called up somebody I know at the NSA. That person put me in contact with somebody else in the agency who would be in a position to make the decision, or maybe even be the appropriate person to have on the panel, and he explained to me that they would decline because they didn't feel that they could say the things in a public forum that they would need to say. He also, though, on the positive side of it, which I interpreted as somewhat encouraging, said he thought that maybe a year from now that we would see the NSA participating more in public discussions about this, that at this time it was premature. Now, as far as the FBI goes, I was under the impression that maybe Marc or somebody had approached the FBI as well, but I'm not exactly sure. I'd be delighted to have somebody from the FBI join us right now and either make a few comments or respond to questions that come up. It is certainly not an intention to exclude people from the government at all. D. DENNING: OK, you're next. D. DENNING: I'd like to go on to somebody else. Thanks. OK, Steve Cisler? CISLER: Do you . think there'll be any kind of agreement such as the Energy Department just signed with the Computer Systems Policy Project? Sort of joint development of research? AUDIENCE MEMBER: OK, thank you very much. We hear a lot of arguing about the First Amendment foundation for cryptographic speech. I'm beginning to wonder about the Second Amendment implications. We've heard several times on the panel here today, and I think some of us through other conversations . during the last couple of days, that if guns are outlawed, only outlaws will have guns, and by analogy if crypto is outlawed, only outlaws will have crypto. One of the purposes of cryptographic technique is to protect an individual from outside intrusion, either from others or perhaps from a government run amok, which is certainly an undercurrent that I've sensed here. Taking a look at some of the fundamental historical purposes of the Second Amendment to the Bill of Rights, I'm curious what the application of the Second Amendment would be to cryptographic protection. And I'll just throw that open to the panel. "The right to keep and bear arms shall not be abridged." D. DENNING: Could I just make a comment first, and that is that my understanding in talking with Willis Ware yesterday was that there was a mistake in those bills that is being rectified. I'm not sure what the actual intent of the bills was, but the intent of the bills was not actually to give NSA more authority over security than they already had, and the Computer Security Act gives NIST authority for security in the commercial sector. There are some people from NIST here, so maybe they can correct me on this. UNKNOWN PANEL MEMBER: Is Willis here? . D. DENNING: Willis is not here any more. Is there anybody here who is more knowledgeable? D. DENNING: No, they were clearly written, but I guess the question is they were written without somebody having done the right research, and the research having been done, the plan is to change that. Can you speak to that? D. DENNING: Anyway, I guess the question was actually directed to John, so let's let John go next, and then Whit, if you want say something, too. GILMORE: I think the question is just sort of, where's the next battleground going to be? Overall, I think that the battleground is on what are we losing by following these cold war policies. It's clear that there was no reason to doubt what the NSA said over the last 40 or 50 years, because there was no harm if you followed their regulations. Maybe 10 people got hurt, or 20 people got hurt that year, and you could afford that for national security. But when the privacy of millions of people who have cellular telephones and the integrity of our computer networks and our PCs against viruses are up for grabs here, then I think the battleground is going to be counting up the harm and in the public policy debate trying to strike a balance. The real challenge there will be to get the people who can show harm on the other side, who can show harm to our national security by freeing the technology, to speak up and tell us what this harm is. They're so unused to having to defend the need for it that I'm afraid they will just sort of attempt to push it to the wire, and whether they win or lose is not the issue..
D. DENNING: OK, and then Whit? D. DENNING: And Jim Bidzos wanted to make a brief remark, too. ROSS STAPLETON: Ross Stapleton, Central Intelligence Agency, and I have to say up front I don't speak for the CIA and this is just me. I can tell you I did my doctoral work studying Soviet-East European personal computing. I have seen export controls and all that close at hand, and actually kicked the tires and things and all that. I can say I agreed nearly 100% with what Mr. Diffie said, up until he said something that surprised me, in that this room didn't shout it down. That was when he said information is less dangerous than physical things. Good God! If you believe that, I'll give you a choice. I can go to your school district and give out one hit of PCP, or I can cover the area with instructions on how to make it. All I'd ask you to keep in mind is to have some sympathy for the foreign policy-niks who know that, in a sort of frustrated air, when it's hard to move information around, it's unlikely that someone can even get an atomic bomb plan, despite the fact tha. t we've got tens of thousands in both the former Soviet Union and in the United States. But I would fear someone giving out the Princeton dissertation and broadcasting it over the nets to all and sundry in that form -- now, given plutonium, we can make a bomb. So, information is a dangerous thing, in the right hands. I think we're all selling ourselves short if we think information is an unempowered commodity. JOHN PODESTA: I have no speech, but I actually have two somewhat unrelated questions, if you will bear with me. Whit Diffie talked about using encryption to enhance the capacity to audit, but in the case of the cellular standard, I think the NSA spent most of their time worrying about encryption used in the signaling channel, rather than . the voice channel on cellular, because they wanted the capacity to audit or do traffic analysis, transactional analysis. I wanted to ask Whit whether the use of encryption can enhance privacy in that area, which is to eliminate, or build up privacy on transactional analysis. Secondly, to Jim Bidzos, you talked about going from a situation where government and industry are fighting with one another to one in which there's more cooperation, and I wanted a comment on whether you thought the SPA negotiation with NSA was of the latter category. D. DENNING: OK, I guess the clock just ran out and Lance said he had a couple of comments he wanted to make before the break. D. DENNING: OK. Two more? Second, I have a lot of sympathy for law enforcement officers who are having to face the DDR&M -- that is, drug dealers, rapists, and murderers. But it is a serious comment, I do have a lot of sympathy for them. They are under severe duress from us, the law-abiding citizens who want protection from these serious crimes and this serious danger. Maybe we should move to another society where it's OK to pry information out of suspects' brains by beating them until they tell us. That's done all over the world. Why don't we do it? We decided that was going too far. Maybe we need to decide that the protection of communications between presumed innocent individuals supersedes the need of law enforcement for the ability to conduct surveillance and investigation on information and communications between any individuals that they want to when authorized by law, or by political process, or by whoever's in power, or by whatever other means there is, authorized or unauthorized. We as a society really need to make a decision whether we want everybody protected, even those damn DDR&Ms, or whether we want every. body endangered. Thank you. HOFFMAN: Thank you, Bruce, and finally, Molly Raphael reminds me, if you have not filled out your evaluation form, this might be an interesting time to consider it and drop it off at the registration desk. Thank you very much to Dorothy and the panel for a very interesting discussion. (applause).